Speculative Faith | Do You Want to Go? 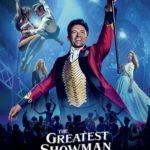 Why Do Christian Fans Love ‘The Greatest Showman’? This is the question that every book and show and movie asks. Do you want to go? This is the question that every book and show and movie asks. A great deal has been said and written about how that movie strains human credulity or this book breaks the facts clean in half. Dramatic courtroom revelations aren’t really a thing, a punch to the face is enough to end any fight, love at first sight could get you into a car with a serial killer, it’s ridiculous that anyone – even with superpowers – would choose to save the world wearing a cape and tights. There are more solemn warnings of more pernicious falsehoods, reminders that we can’t really believe in the heroes and the happy endings, the perfect love stories and the last-minute rescues. I’m a huge film fan. From Kurosawa’s “Rashomon” to “West Side Story”, from “White Heat” to “The Iron Giant”… I love films of every style and genre. So, when my daughters said they wanted to go to the movies I was more than happy to take them. I had absolutely no idea what this film was about. I only knew that Hugh Jackman was the star, and my wife assured me it was good for the kids, so yeah… let’s go to the movies! I have to say… I have NEVER had a reaction to a film like I did with this one. To say I hated it would be an understatement. I literally was squirming in my seat, trying everything I could to find ways to pass the time that DIDN’T involve actually watching the movie. It was straight downhill from the very first song. I tried falling asleep but it was too darn loud. I tried reading my phone but it hurt my eyes. Eventually, I just got up, left the theater, and paced in the lobby eating over priced peanut M&Ms and glancing at my watch from time to time. Now, maybe it was because the directorial style was more akin to MTV than to modern film making. It seemed like a collection of musical youtube videos more than a solid film. I don’t know… maybe this was just made for a younger generation and I’m just getting old. That’s possible. I do find myself yelling at kids to get off my lawn from time to time. My girls loved it, and the row of young teen girls in front of us cheered and whooped while credits rolled. Me? My hands hurt from making fists. I’ve never had a reaction like that before, and I left the theater knowing a little more about myself. …If I’m ever interrogated by Russian spies asking about the location of the secret microfilms that reveal the plans to building weapon X you all better hope they don’t sit me in front of “The Greatest Showman” because I’m telling you now, I will sing like a canary from the first note of the first song. I don’t usually watch movies in the theater. But I’d heard creative friends raving about how this movie made them feel (all good things), and my sister and I were looking for a fun outing, so we went. Well… I didn’t realize it was going to be a musical. Not that musicals are bad, but here’s the thing: I had no defenses. The music wasn’t something I could avoid (too loud) and it got under my skin and made me FEEL and wouldn’t let me keep emotional distance. So yeah, I pretty much happy-cried through the whole thing. Or rather, not just “happy” crying, but crying because I could feel the raw emotion of the characters: yearning, excitement, longing for dreams to come true, desire to be loved, hope for a future better than the miserable “now”, the beauty of imperfect humanity. It’s definitely NOT a film about the history of P.T. Barnum. It’s NOT a film trying to be “well written” or “well acted”, and honestly it *still* bugs me that they had an “opera singer” who didn’t sing a lick of opera. It’s a film in the SPIRIT of Barnum and all the showmanship of the circus, it’s a film in the SPIRIT of today’s yearning misfit creative masses. We are in an age of social media and wide open opportunities for creative entrepreneurship that has given everyone the desire to see their dreams come true — and the hope that they really could. 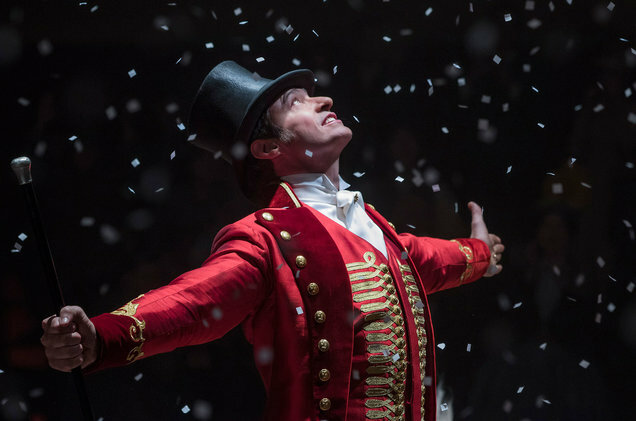 “The Greatest Showman” is a work of art, and the heart-cry of many creative people put to song. And for that, I love it, and I love the people who brought it to us. I’ve seen some of the behind-the-scenes interviews with the actor/singers, and it’s so obvious that Hugh Jackman and his colleagues put their hearts and souls into it. It’s a thing of beauty and bravery, the baring of souls and the reminder that *people* are more important than fame.